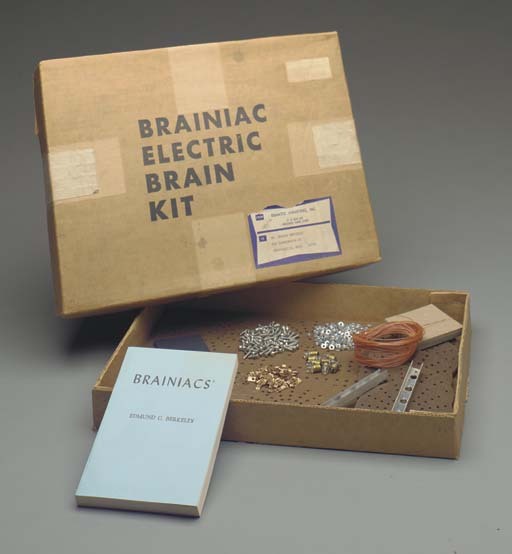 "One of the items in this auction is the Brainiac Electric Brain Kit, circa 1966 (aka Geniac in the U.S) Insulated wire, battery box, circular masonite multiple-switch disks, and brass jumpers. A kit to teach children the principles of electronic digital computing, designed by Edmund Berkeley, who worked on the Harvard Mark I and II computers. 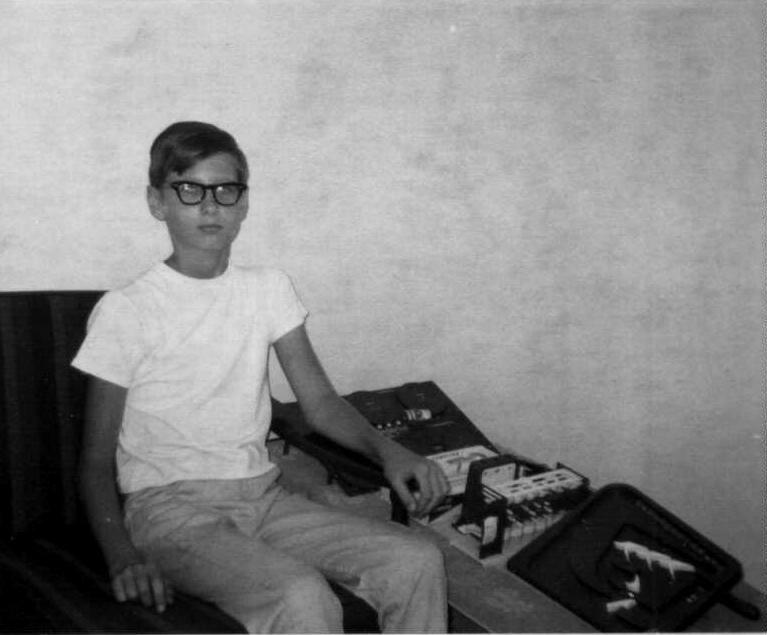 "Here is a picture of me in 1967 with a Geniac, an analog computer, a Think-A-Dot, Digi-Comp I and Dr. Nim. I just posted it to the photo section of a Yahoo Group devoted to these early mechanical computers: Link. "Almost 40 years later, I only have the Digi-Comp I and the one on which I'm typing this note." Above: a photo of the Brainiac kit.